South wind expected to rise to 40km/h from West to East, with blue thermals reaching 3000m at 2pm. Short task, 140km, set in order to have the pilots back at 4pm just before the wind becomes too strong: Start Longeagne West R=3km, Pic de Bure, Aujour, Chabanon (R=12km), Col St Jean, and back to Aspres airfield. Aujour was still not good, but just enough to cross the Durance valley and reach the ridge to follow to Malaup where a powerfull blue thermal allowed the pilots to refill altitude before going to the 3rd turn point. 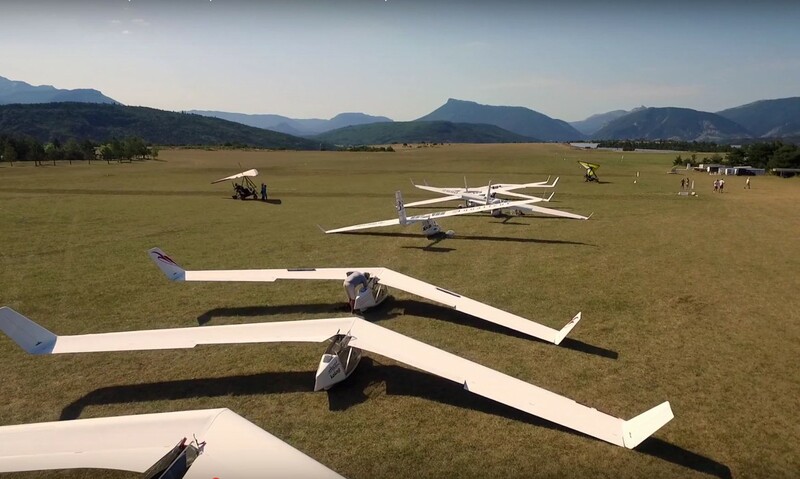 The crossing of the wide Durance valley to Chabre ridge (Laragne take off) was a challenge with the stronger and stronger S to SW wind, most of the pilots choosed to proceed via St Genis, Jacques strait ahead. 5 out of 9 pilots at goal, Manfred winning at 43km/h, second is Roger at 4 minutes. See the ranking in the “Competition” Menu.